Your support for faculty can help shape the next generation. Consider making a gift to help the UC Davis College of Letters and Science recruit and attract even more world-class faculty through establishing an endowed chair or professorship, funding new research or founding a new speaker series. Amber Boydston, associate professor of political science and UC Davis Chancellor’s Fellow, talks about her research on political rhetoric and messaging can be powerful enough to change the way we think about the world. Her expertise is on the “intersection between politics and the media.” As a Chancellor’s Fellow, Boydston uses the majority of the $25,000 fellowship to support undergraduate and graduate student researchers on her team. Longtime UC Davis professor and administrator Winston Ko and his wife Katy Ko have endowed a faculty chair in science leadership in the College of Letters and Science. The Winston Ko Professorship in Science Leadership will recognize national or international science leadership by an outstanding faculty member in the departments of chemistry, earth and planetary sciences, mathematics, physics or statistics. “It’s a great honor to recognize and encourage science leadership by my colleagues, which both advances science and brings prominence to UC Davis and world-class education to its students,” Ko said. Read more about how the Kos turned their vision into reality. You make a gift online to the Winston Ko Professorship in Science Leadership. 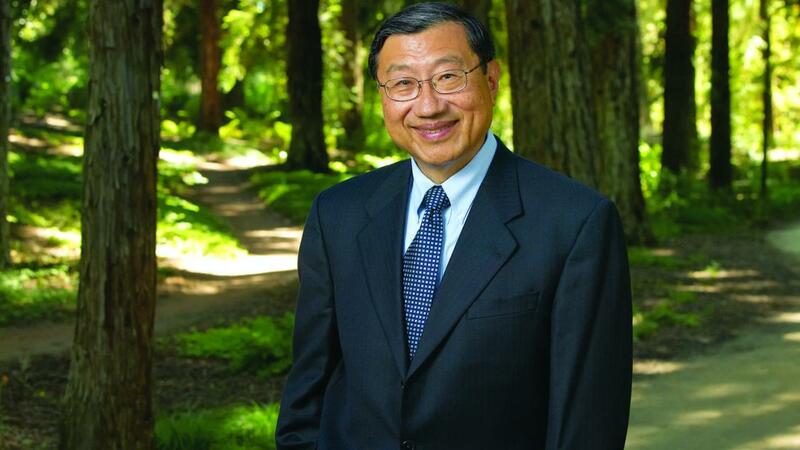 Your gift provides annual endowment income funding a Mathematical and Physical Sciences professorship to lead a scientific project of national or international scope and honors emeritus dean Winston Ko's 41 years of service to UC Davis.